Maybe you’ve seen a need in your own community and wondered how you could help. Maybe you want to use your professional skills to help others — or even learn new skills. Maybe you’re seeking connections with other service-minded professionals in your community or abroad. Whatever your reason, joining Rotary can help you achieve these goals, and so much more. Come to one of our meetings (second and fourth Wednesday of every month at the La Crosse Country Club) and see why we're Rotary members and learn how you can get involved. Need Help Funding A Project? 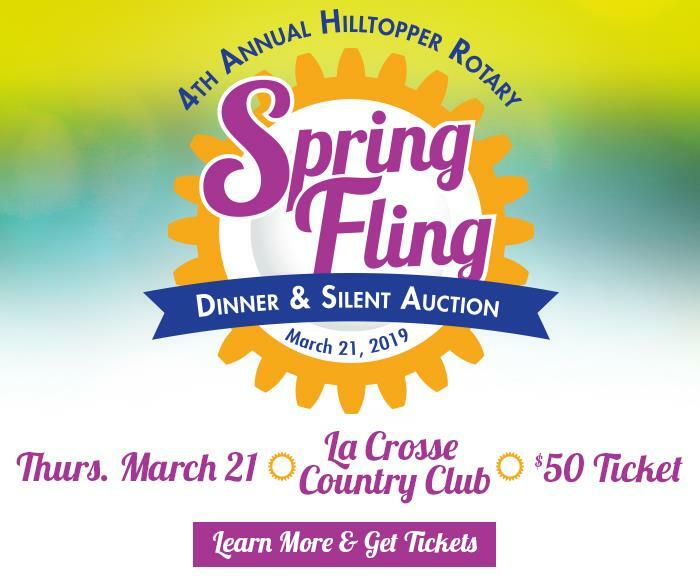 The Onalaska Hilltopper Rotary Club donates funds to many projects in the Onalaska community, Coulee Region and beyond throughout the year. If you, an organization, or someone you know has a project that is in need of some extra funds please don't hesitate to ask us for help. All donation/funding requests must be submitted to the club in writing by downloading and filling out the Club Funds Request Project Application. Once the application has been filled out, please mail it to "Club President, Onalaska Hilltopper Rotary Club, PO Box 36, Onalaska, WI 54650". After we receive your application you will likely be invited to a club meeting to explain your project in concept to the entire club, and then present the project details to the Onalaska Hilltopper Rotary Board for consideration of club funding. To download the Club Funds Request Project Application, please click here. This application is in PDF format and will require a PDF reader to view and print the document. We recommend Adobe Acrobat to view and print PDFs, a free download can be found by clicking here. Stay up-to-date with everything going on in our club by liking our Facebook page.